City Warehouse was originally created as a Ford Motor assembly plant. The company began with two employees in 1909; by 1914, there were 80. And before it closed at the end of the 57-year operation, 3,000 employees were on the payroll. It was one of 15 plants operated throughout the country and could produce 650 cars and trucks each day with two eight-hour shifts. 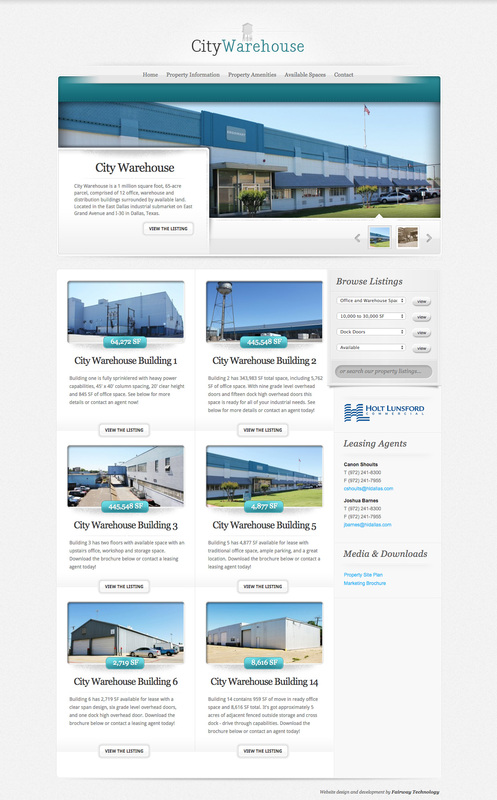 The City Warehouse project was developed as part of a digital marketing campaign for Holt Lunsford Commercial, a Dallas-based commercial real estate and property management firm.